Original AABAT-001 AHDBT-501 GoPro Battery HD 4K Hero 6 Hero 5 Black. GoPro HERO 5 Black. GoPro HERO 6 Black. GoPro HERO 7 Black. NOT COMPATIBLE with the GoPro HERO5 Session, HERO4, or HERO3 . 100% original new battery. 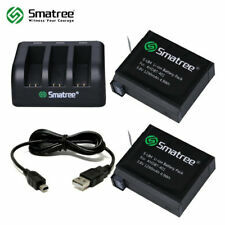 Compatible with: Canon EOS 1100D, 1200D, 1300D, 2000D, 4000D, EOS Rebel T3, T5, T6, T7, T100. Inbuilt into each Dot.Foto battery is a safety system which gives short circuit protection and prevents the battery from overheating. Sony Alpha a7R (ILCE-7R). Sony Alpha a7R II (ILCE-7RM2). Sony Alpha a5100 (ILCE-5100). Sony ILCE-6300 Alpha a6300. Sony Alpha a6500 (ILCE-6500). Sony Alpha a7S (ILCE-7S). Sony Alpha a7S II (ILCE-7SM2). Sony Alpha A37. Sony Alpha A3000. Sony Alpha A33. Sony Alpha A35. Sony Alpha A55. Sony Alpha ILCE-5000. Sony Alpha ILCE-6000. Sony Alpha ILCE-7R. Canon SELPHY CP100. Canon SELPHY CP710. Canon SELPHY CP730. Canon SELPHY CP770. Canon SELPHY CP780. 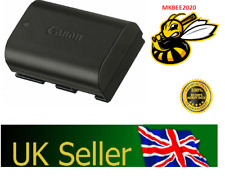 Canon SELPHY CP790. Canon SELPHY CP800. Canon SELPHY CP900. FUJIFILM X100F. FUJI NP-W126 FUJIFILM X-Pro1 X-E1 FinePix HS50EXR. Fujifilm NP-W126. Fujifilm FinePix HS33EXR. FUJIFILM X-E1. FUJIFILM X-M1. FUJIFILM X-A1. FUJIFILM X-T3. PowerShot G5X G7X G7 X G9X. Battery Type: Li-ion Li-Po. 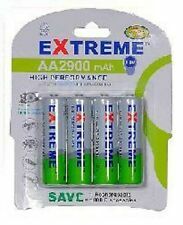 1 PCS x Battery. Note: Light shooting and different displays may cause the color of the item in the picture a little different from the real thing. Chemistry: Lithium Ion. Sony Cybershot HX Series Sony Cybershot RX Series Sony Cybershot WX Series DSC-RX100 II. High Definition Sony HandyCam. NP-F930\F950\F960\F970\F990. NP-F730\F750\F770. NP-F330\F530\F550\F570. (Batteries and Car adapter are not included). 1 AC Power Cord( UK type plug). Note: The real color of the item may be slightly different from the picturesshown on website caused by many factors such as brightness of yourmonitor and light brightness. 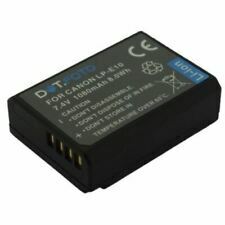 BLN-1 BLN1 Battery for OLYMPUS BCN1 BCN-1 E-M5 E-P5 OM-D E-M1 EM5 OMD EP5. Products type: Li-ion battery. 1 x BLN-1 Li-ion Battery. 100% New and high quality. COOLPIX AW100, AW110, AW120. COOLPIX S9050, S9100, S9200, S9300, S9400, S9500, S9600, S9700, S9900. COOLPIX P300, P310, P330, P340. Coolpix S8000, S8100, S8200. Genuine Original NIKON. EN-EL12, LI-ION BATTERY. Gopro HERO 5 HERO 6 HERO 7. 1 x Genuine Gopro Battery. Battery Capacity :1220mAh. Technical Specifications. Applicable models: Sony a7r2, a7m2, a5100, a6000, a6500, a6300, NEX5T 5R5N7. Colour: Black. If you are not satisfied with the item, you can. Size: 54 18 85mm/ 2.13 0.71 3.35in.